Inventory and study of defensive works in a given space enables us to understand the way ancient societies regarded their territories: through the study of their defensive framework, we learn about their political organisation and their relationship with their territories. Because of its strategic location in the Eastern Mediterranean Sea, Cyprus was the cause of many conflicts in Antiquity, so its different city-kingdoms and its various rulers were constantly worried about defending their territories. The inventory of the defensive works built in Cyprus from the Archaic to the Hellenistic period show that such constructions were built all along these centuries and that two main periods of fortification building can be distinguished: the Cypro-Archaic period, precisely the 6th century, and the Hellenistic period, notably the 2nd century BC. Defensive works of the Late Bronze Age are numerous in Cyprus, like Nitovikla, Kafkallia, Maa-Palaeokastro, Enkomi, but no defensive works are known between the 11th and 8th century BC, with the exception of the first city walls of Salamis, Idalion and Kition dated to the Cypro-Geometric III period. Except them, most of the city-kingdoms built their first city walls during the Cypro-Archaic period.1 It is probably the Assyrian and Egyptian interventions on the island that led the main cities of Cyprus to protect themselves with city walls at the end of the Geometric or at the beginning of the Cypro-Archaic I period. Textual and archaeological evidence show no important changes in the defensive network of the island throughout the time of the city-kingdoms, from the 8th to the end of the 4th century BC. Nevertheless, it is possible to distinguish four different phases of defensive works. Very few towns remained un-walled or built their city walls for the first time during the Cypro-Classical period. The Hellenistic period shows a completely different defensive organization of Cyprus under the Macedonian rulers. At the beginning of the Archaic period, circa 750 BC, both archaeological and textual evidence show that almost all of the capitals of kingdoms that already existed were fortified: on the east and south coast, Salamis, Kition, Amathous, Kourion, Bamboula in Episkopi, Palaepaphos and Soloi, Tamassos, Idalion. There is no evidence for the northern coast but field observations have shown that the towns at the plains (like Chytroi or Keryneia and Lapethos) seem to not have been protected, neither do those of the Akamas and Karpass peninsulas, except perhaps at Aphrodision, where we could observe the remains of a city-wall, but we were not able to date it without archaeological excavations. At the beginning of the Cypro-Archaic period, although the Cypro-Geometric walls of Idalion were not in use anymore, Kition appears to be still protected by the fortifications built in the 9th century BC. The city walls of Salamis, erected in the 11th century BC, were strengthened at the beginning of the 8th century BC. According to F.G. Maier’s excavations on Marcello Hill, Palaepaphos was fortified for the first time during the second half of the 8th century BC.2 Recently, M. Iacovou made the hypothesis that only this hill was then fortified.3 One can suppose that the other hill in Palaepaphos, Hadji Abdullah, could have been fortified too since a thick wall was discovered there, but could be a little later. These city walls, in their first phase, were made of mudbrick elevation on a stone base. At the end of the 7th century BC, last phase of the kingdoms’ independence, they were not in use anymore. 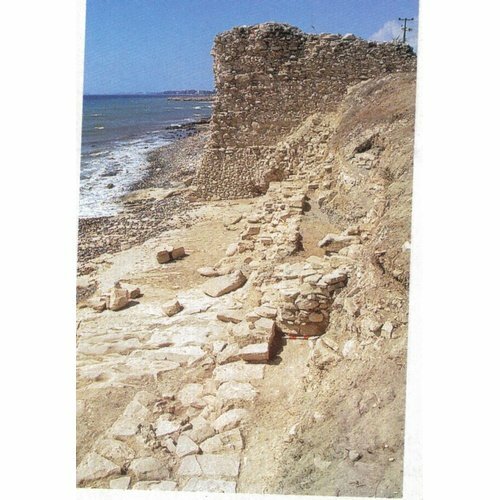 Could the city walls of Kition, Episkopi-Bamboula (phase 4), Palaepaphos (phase 2) have been abandoned because of a peaceful period between the end of the 7th and the beginning of the 6th century? But archaeological excavations also revealed evidence of violent destructions around 700 BC, notably in Salamis, Idalion and perhaps Kition. It is of course difficult to relate archaeological evidence and historical events. The absence of recorded attacks against Cyprus at the end of the 7th century does not mean that it was not under the menace of invasion (the Pharaohs Apries and then Amasis seem to have led military operations seawards of Cyprus, between 588 and 579 BC and then between 569 and 559 BC, according to Herodotus, II, 182). But the violent destructions on the island could also be related to internal political factors, or to aggressions among city-kingdoms, events we know nothing about. The 6th century BC is a period of intense construction of city walls. In Amathous, recent studies have shown that the first phase of the northern rampart was built around 600 BC [Fig. 1]. It is interesting to observe that the construction of the city wall was part of a general planning of the northern part of the city. Indeed, this rampart, crossed by the road passing through the main gate and going to the agora area, was connected to a large square, where a small sanctuary was excavated, and to different contemporary pieces. It is also circa 600 BC that a thick wall was built on Hadji Abdullah Hill, in Palaepaphos, connected to a building measuring 42 x 43 m, carefully built, on its internal face. One cannot say if it was the fortified enclosure of an important building or if the whole hill was fortified. During the second half of the 6th century BC, the first city walls of Tamassos were built; those of Kition, Episkopi-Bamboula (phase 5), and Marcello Hill in Palaepaphos were rebuilt circa 500 BC, and the citadel wall of Idalion was restored. The warlike operations on Cyprus, related by Herodotus (V, 103-105,115), are a terminus ante quem for the construction or restoration of city walls during the Cypro-Archaic II period: Salamis and Amathous were besieged by Onesilos in 498 BC, and other cities, like Soloi, were taken by Persian forces in 497 BC. The fortifications of Tamassos and Palaepaphos could have been then destroyed by a siege. Moreover, the bronze tablet of Idalion, reporting the resistance of the town to a siege undertaken by “the Medes and Kitians”, dated by E. Gjerstad to not after 470 BC implicates that Idalion was protected by new fortifications perhaps built during the Cypro-Archaic II period. Why did these towns need to build or restore their city walls during the second half of the 6th century? Did tensions exist between the different city-kingdoms at the time? We have no information about them besides Onesilos’ rebellion. Is this time of reconstruction of city walls to be related to the Persians? These fortifications, besieged by them in 498/497, were probably built by Cypriot kings as a defense against the Persian menace, clear after the fall of Sardis. Since the Cypriote kings supported the Persian forces in Babylon in 538 and submitted without condition to Cambyses in 527/6, the Persian king could have tolerated the preexisting fortifications; so, as part of the 5th satrapy of the Achaemenid kingdom, once they paid the annual tribute, Cypriote kings enjoyed a real autonomy. But after Onesilos’ revolt and the ensuing Persian reaction, only the city walls of Amathous and Salamis remained standing. At the beginning of the 5th century BC, except for Amathous and Salamis, the city walls of the main towns of the Cypriote kingdoms were not in use any more. Nevertheless, archaeological evidence and ancient texts show that most of them rebuilt their walls very quickly during the first half of the 5th century BC. Much less city-wall construction was undertaken at the time because most of the city-kingdoms were already protected by walls; so, the works undertaken regarding fortifications involved restoration and reshaping of preexisting city walls. Nevertheless, these restorations were important enough to allow us to distinguish two phases of fortifications during the Cypro-Classical period: the first half of the 5th century and the second half of the 4th century BC. Indeed, the results of archaeological excavations carried out on the fortifications of Idalion, Tamassos, and Amathous show that they were built or reshaped during the Cypro-Classical I period. Idalion was the only notable case of construction: the two acropoleis were defended since the Late Bronze Age, but not the lower town yet. This seems to have been the case in Palaepaphos too. The city walls of Idalion were enlarged during the first half of the 5th century, enclosing the lower town for the first time, as well as the two hills (Ampelleri and Moutti tou Arvili), whose fortifications were reshaped in the same time period [Fig. 2]. In Tamassos, despite the fact that the first ramparts could have been restored or reused, new fortifications were built: the new wall is strangely constructed against the previous one, in order to strengthen it by making it thicker. In Amathous, archaeological excavations in the area of the southwest gate showed that both the archaic gate and “the one of” the seawall were restored; they had probably suffered damage during the siege of the town by Onesilos. Ancient writers confirm these restorations of city walls. They say nothing about the state of the fortifications at the time of Pausanias’ expedition in Cyprus, in 478 BC, but, in 449, they mention that the Athenian Cimon besieged Kition, Marion and Salamis. 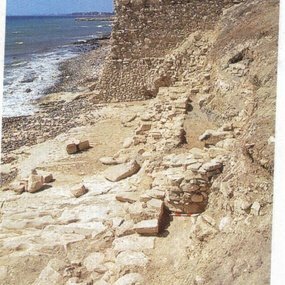 So, at least three Cypriote cities built or restored their own city walls during the first half of the 5th century BC. Isocrates testifies that the city walls of Salamis had been restored after Cimon’s siege, since Evagoras I entered the town by a postern (Evagoras 47). Moreover, he writes that Evagoras I, once master of Salamis, not only restored the city walls but also enlarged the circuit and built a new harbour probably enclosed in the city walls, making the limen kleistos later mentioned by Pseudo Skylax (103). (In our doctorate thesis we proposed a reconstitution of the trace of this new city wall then protecting part of the lower city and the harbour [Fig. 3]. It is this new city wall that was besieged by Tiribases and his troops in 384 BC, when the Persians tried to stop Evagoras’ operations. It seems that these new city walls were efficient, adapted to the new siege craft techniques, since the Persians could not submit the city before they entered into negotiations with Evagoras I in 380 BC. These city walls were still standing and resisting 30 years later, when Evagoras II besieged Salamis by sea and by land, trying to win his throne back with the help of Persia. We have no other information about the reconquest of Cyprus by the Achaemenid troops: other towns had probably been besieged too, but this cannot be proved. Archaeological evidence can only show that, at that time, the fortifications of Tamassos, Idalion and Amathous were still in use. A city wall was built to protect Golgoi, probably for the first time. In Palaepaphos, the fortifications excavated on Marcello Hill, that had been abandoned since the siege which destroyed them circa 500 BC, were rebuilt. The reconstruction of the walls and towers commemorated by the inscription of the altar found in the sanctuary of Aphrodite may refer to this new phase of the walls (rather than to the construction of the city wall of the new town of Paphos as it has been proposed). In Marion, the eastern rampart, dated to the end of the 4th century BC, shows that the circuit of the city walls was probably reshaped at that time since this rampart does not follow the previous circuit. Hence, archaeological evidence and ancient writers coincide in terms of the Cypriote defensive organisation during the Cypro-Classical period. The defensive framework of Cyprus did not really change during the 5th and 4th centuries BC: almost the same towns were fortified and there were no constructions of new city walls, except those of Golgoi, which were as important as those built during the Cypro-Archaic period, especially during the 6th century BC. The main change has been observed in the way of defending the surroundings of the town. During the Archaic period, it seems that only parts of the towns were protected; the nucleus, hills that were easier to protect and defend, such as the acropolis of Amathous, the two hills of Ampelleri and Moutti tou Arvili at Idalion or the Marcello Hill at Palaepaphos; however, in the Classical period, most of the lower towns which remained extra muros until then, were enclosed in the enlarged city walls; this is very clear at Idalion. In Palaepaphos, one may wonder if Nikokles enlarged the protected area of his town or not, even though archaeological evidence is still missing. At Salamis, as Isocrates explains, Evagoras I not only enlarged the protected area of the fortified town but also enclosed the harbour. By doing this, Evagoras I was probably following the experience he had in Phoenicia and Greece, where he was able to observe the limen kleistos of Sidon or Pireaus. To conclude on the fortifications of Cyprus during the time of the Cypriote city-kingdoms (8th-4th centuries BC), one can say that despite the fact that a high number of secondary settlements have been revealed by field surveys carried out on the island, none of them seems to have been fortified, except three: Vouni, Akrotiri, a site identified close to the village of Aghios Theodoros near the cape Elaia, and Golgoi in the Mesaoria. So, probably only the main towns of the city-kingdoms, the so-called “capitals”, were fortified. Moreover, no defensive works other than the city walls of these towns have been noticed on the territories of the kingdoms: ancient writers do not mention any fort on the island and archaeological evidence is very limited. The two exceptions are the defensive works observed on the northeast shore of the Karpass peninsula, at Chelones-Rani, and between Idalion and Kition at Pyla-Vikla. The Hellenistic period is the most important one regarding the number of defensive works ever inventoried. In fact, the island continued to be defended after the peak of defence during the Cypro-Archaic II period.5 After most of the Cypriot kings had rallied under Alexander III, during the siege of Tyr, in 332 BC, Cyprus became a coveted island: located on the border of the territories shared among Alexander’s successors, it was also of strategic and economic value because of rich timber resources and shipyard. This explains that a great number of fortifications were built during the Hellenistic period. So, compared to previous periods, there is greater evidence on the defensive network of the different towns. Three different types of peripheral defenses can be distinguished: fortresses related to towns (such as at Kornos) and small strongholds (such as at Alakati on the Kyrenia range or at Savvenas in the Mesaoria plain, 25 km to the west of Nicosia and around 20 km to the south-east of Myrtou), which seem to have protected the secondary towns or their territories, whether their function was to prevent attack or to be a rescue place. Moreover, some isolated towers completed this defensive network, like those located along the western coast of the Kormakiti peninsula. If one considers these strongholds individually, they have a weak defensive value, but placed in the network they belong to, they functioned as structuring elements forming a hierarchical chain of defensive units. This was a real change compared to what has been observed for the Cypro-Archaic and Classical periods. Who initiated the new defensive network of Cyprus? The Ptolemies or the Antigonids? If Cyprus progressively fell under complete control of the Ptolemies, it seems that at first they did not have a particular defensive policy on the island. On the contrary, it appears that for Ptolemy, Cyprus was not an island to protect, but to hold, to be used as an outpost for intervening in Southern Syria. It was, in fact, from Cyprus, that he led a sea attack against Demetrios in Syria in 312 BC. After Demetrios’ victory at Salamis in 306 BC, the Antigonids busied themselves with the reorganisation of the coast and its defense: the small city of Palaeokastro seems to have been fortified at the very beginning of the Hellenistic period and the building of the harbour and the new city walls of Amathous were undertaken around 300 BC but were not completed. So, it appears that these constructions – perhaps the harbour of New Paphos as well – owed their origin to Antigonos and Demetrios. The Antigonids controlled the Aegean sea as protectors of the Koinon of the Nesiotes since 315 BC but they needed a fleet and, by holding Cyprus, they added the main timber supply for shipyards to the dockyards they controlled in Phoenicia, as well as in Cilicia and in Rhodes. In 305 BC, after Demetrios failed to take Rhodes by siege, the Antigonids did not control the island anymore and lost also the Phoenician harbours after 301 BC. After the reconquest of Cyprus by Ptolemy in 294 BC, neither he nor his first two successors seemed interested to defend the coasts or the inland either. They owned strong naval bases in the Aegean, so Cyprus was nothing more than a glacis facing the Seleucid disposition, or was used as a naval base facing Syria during the Third Syrian war (246-241 BC). The peace treaty helped Ptolemy to push back his northern border in Syria, keep the harbour of Seleucia and obtain Cilicia Trachea. When the Ptolemaic possessions were strengthened, Cyprus did not need to be defended anymore. During Ptolemy IV Philopator’s reign (221-204 BC), when peace was menaced in Egypt because of internal intrigues and external dangers, Cyprus became the scene of military operations, strengthening its strategic value for the Ptolemies. Under Ptolemy VI Philometor, the island continued to be under the menace of wars (163-154 BC) and Cilician piracy; this possibly explains the different towers built along the western coast of the Kormakiti peninsula. The king had to strengthen his position in Cyprus both against Antiochus IV Epiphanes and his own brother Ptolemy VIII Euergetes II Physcon, who was exiled in Cyprus (143-116 BC). With Cyprus being of great strategic importance for these kings, a new defensive organization of the island’s territories was initiated. As attested by epigraphy, an administration of civil and military officers was set up, as well as garrisons and probably cleruchs, at least in Amathous.8 The fortified cities were along the coasts, especially to the south and west. The new capital, Paphos, both the seat of the new strategos and of the nauarchos, as well as an important shipyard, may then have been fortified for the first time circa 200 BC, and the third basin of the harbour could have been built at that time too for military purposes.9 This new feature must be related to the strengthening of the maritime role of Cyprus, especially Paphos, which became the base of the Ptolemaic fleet, from 146 BC, after the Ptolemies lost their position in the Aegean. At the Cypro-Archaic and Classical periods, the defense of the city-kingdoms lay almost exclusively upon the city walls of the main cities. In the Hellenistic period, one observes a real diversification, testifying to a real rationalization of the island’s defence. Then, the protection of the ancient kingdoms did not only lie upon the city walls of the main towns but also on a hierarchic network of defensive works: city walls of main towns and smaller settlements, citadels, forts, rescue places and watchtowers. Fig. 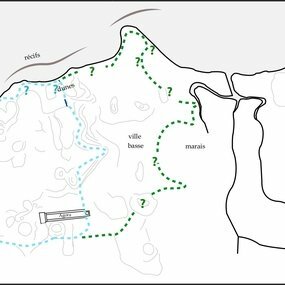 1: Schematic plan of the north rampart of Amathous: in green, the trace of the Archaic period (copyright: © Mission d'Amathonte EFA. Designed by T. Kozelj, P. Aupert). Fig. 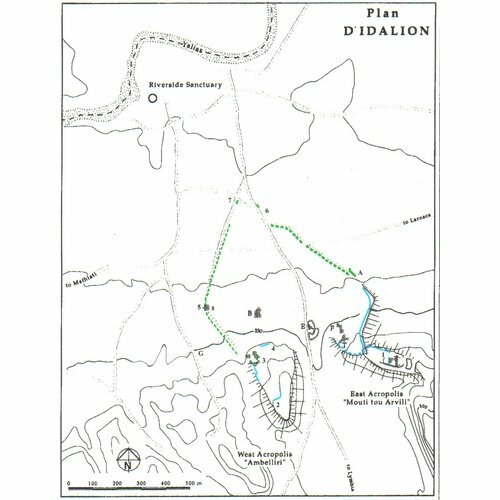 2: Plan of Idalion. 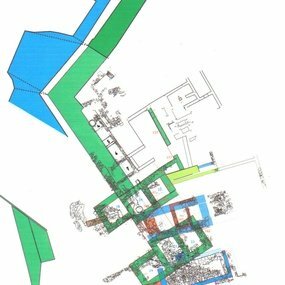 In blue, the trace of the Αrchaic rampart and in green the Classical enclosure surrounding the lower city (Copyright: © C. Balandier 1999, designed by J. Humbert). Fig. 3: Plan of Salamis with the trace of the enclosing wall. (Copyright: © C. Balandier). Fig. 4: Kornos, north coast of the Kormakitis peninsula. View of the citadel. (Copyright: © C. Balandier). Fig. 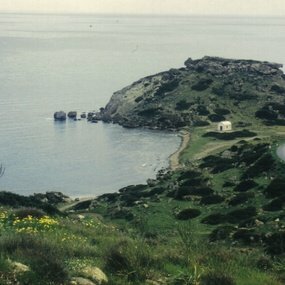 5: Amathous: Remains of the sea-wall to the south-east of the site. Remains of the Early Hellenistic rampart. View to the west. (Copyright: © Mission archéologique d'Amathonte EFA. Image: Pierre Leriche 1989). 1 Balandier 2002; Balandier 2010. 2 Maier, Karageorghis 1984, 160-161. 5 Balandier 2007; Balandier 2011. 6 Quilici, Quilici-Gigli 1975; Quilici 1985. Aupert, P., Balandier, C. forthcoming: "Amathonte après la fin du royaume" in A. Cannavò, L. Thély (eds), Les royaumes chypriotes à l'épreuve de l'histoire: transitions et ruptures de la fin de l'âge du Bronze au début de l'époque hellénistique, Athens, 19-21 March 2015. Aupert, P., Flourentzos, P. 2008: "Un exceptionnel document à base cadastrale de l’Amathonte hellénistique. (Inscriptions d’Amathonte VII)", BCH 132, 311-346. 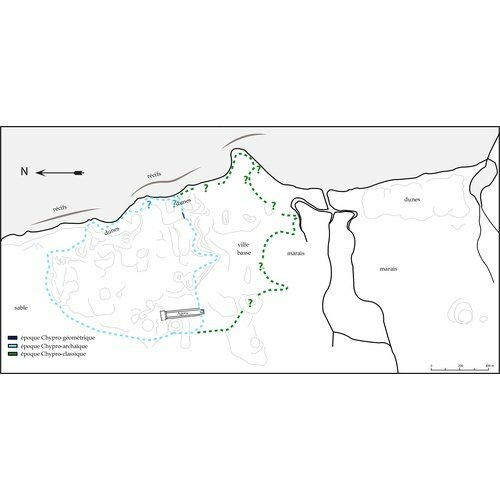 Balandier, C. 2002: "Histoire de la défense des territoires chypriotes de la période archaïque aux invasions arabes (VIIIe s. av. J.-C.-VIIe s. ap. J.-C.)", Dialogues d'Histoire Ancienne 28.1, 175-206. 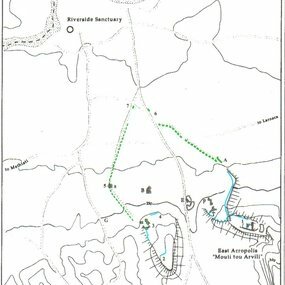 Balandier, C. 2007: "Les ouvrages fortifiés et la défense territoriale de Chypre à la transition des périodes classique et hellénistique", in P. Flourentzos (ed. ), From Evagoras I to the Ptolemies. The transition from the Classical to the Hellenistic period in Cyprus, Proceedings of the international conference (29-30 November 2002), Nicosia, 145-159. Balandier, C. 2010: "La défense de la Transeuphratène occidentale par les Achéménides. Étude des fortifications de Chypre et de Palestine cisjordanienne", Transeuphratène 40, 9-32. Balandier, C. 2011: "La défense de Chypre et l’importance stratégique de l’île dans la politique lagide", in A. Demetriou (ed. ), Proceedings of the IVth International Cyprological Congress, Lefkosia 29 April-3 May 2008, vol. 1 Ancient section, A. G. Leventis Foundation, Nicosia, 367-376 and pl. 39-43. Balandier, C. 2014: "Des anciennes capitales de royaumes aux nouvelles villes portuaires: réflexions sur l’évolution du réseau urbain de Chypre à l’époque hellénistique", in C. Balandier, C. Chandezon (eds), Institutions, sociétés et cultes de la Méditerranée antique. Études d’histoire ancienne offertes à Claude Vial, Scripta Antiqua, Bordeaux, 179-206. 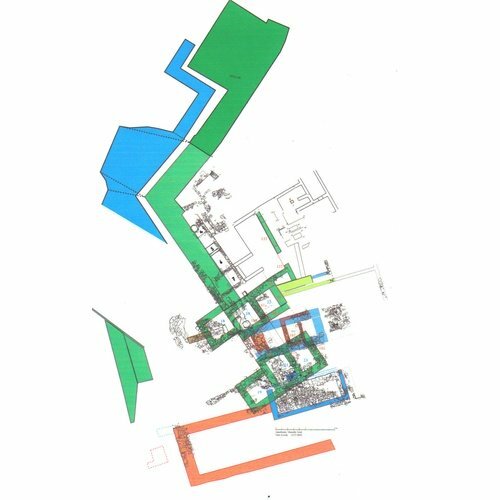 Iacovou, M. 2008: "The Palaepaphos Urban Landscape Project”: Theoretical Background and Preliminary Report 2006–2007", RDAC, 263–289. Maier, F.G., Karageorghis, V. 1984: Paphos History and Archaeology, Nicosia. 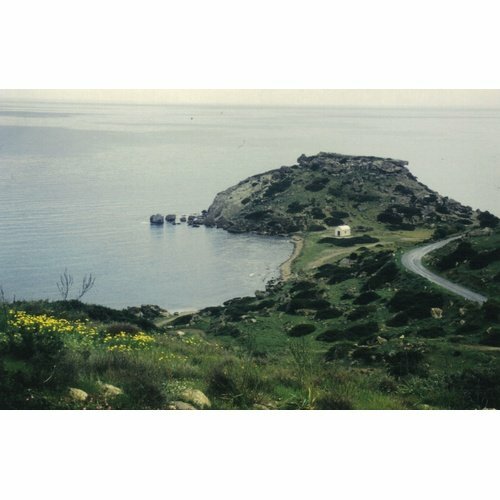 Quilici, L. 1985: "La mission italienne à Ayia Irini (Kyrenia)", in V. Karageorghis (ed. ), Archaeology in Cyprus (1960-1985), Nicosia, 182-192. Quilici, L., Quilici-Gigli, S. 1975: "Ricerche intorno a Melabron" RIASA 19-20, 1972/73, Rome, 7-102.